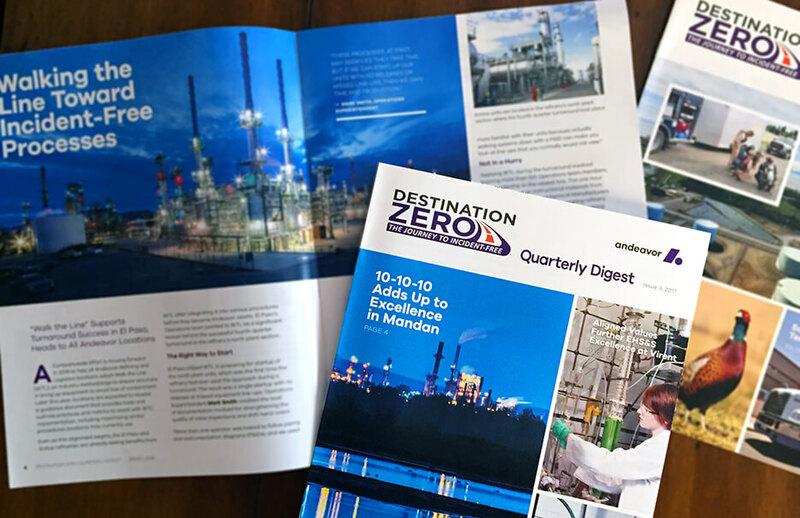 RESULT: The vibrant brochure presents technical information explaining gas prices and refining in an easy-to-read format, accented with an inserted CD. 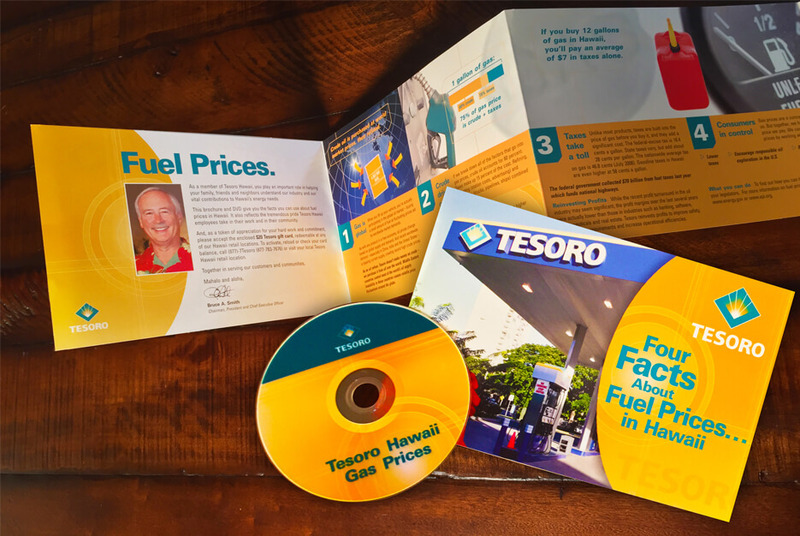 The CD contains an animated presentation explaining the refining process. 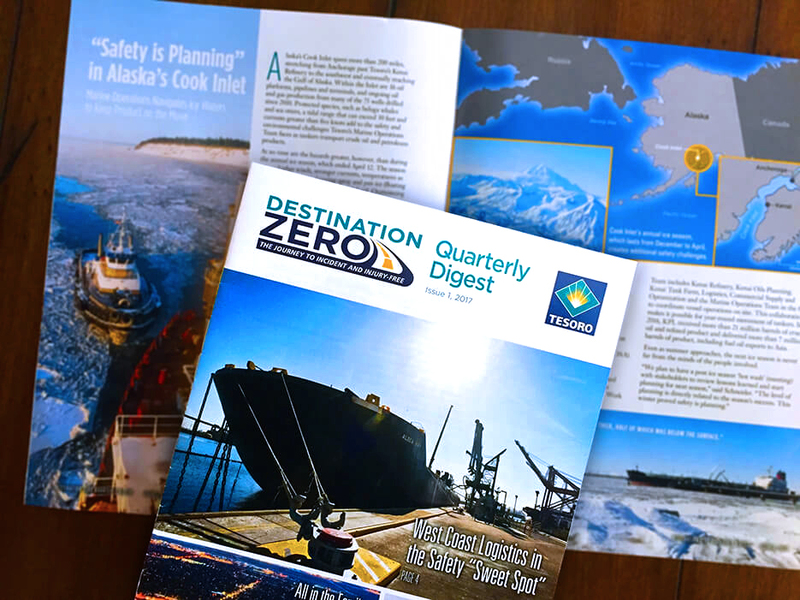 The Safety newsletter, Destination Zero, highlights safety efforts throughout the refineries.